The shipping was prompt. The construction is nice and heavy, doesn't feel cheap and works pretty much as claimed. The only problem is that because it is thick and sturdy the spatula part is sometimes too thick to slide easily under foods, such as eggs. Get It Right is on a mission to solve common kitchen problems—for good. When it comes to cooking, the right equipment can make all the difference. Tired of metal handles that were too hot to hold and wooden handles that warped in the dishwasher, designer Samantha Rose first tackled the spatula. Her unibody design was a big improvement, with nowhere for food to get stuck or bacteria to grow. 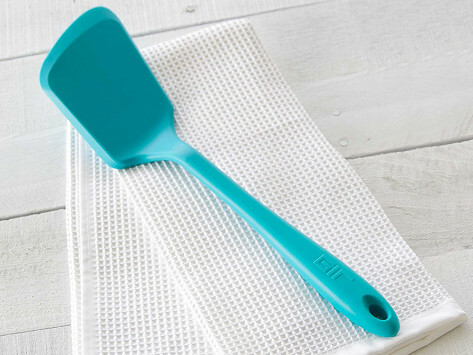 Made of pharmaceutical-grade silicone, Get It Right’s tools and gadgets are heat resistant, dishwasher safe, and durable. Perfectly flip a pancake with spatulas that stay cool. 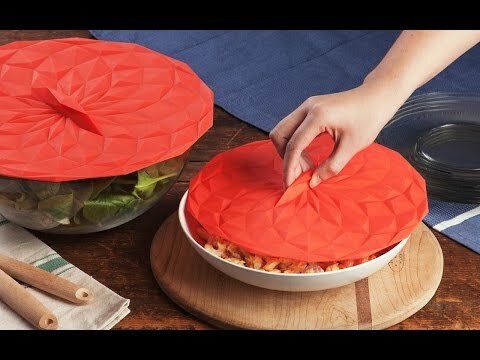 Seal up a bowl or pan with reusable, flexible lids that work from fridge to microwave to stove. Mix a sturdy dough or delicate sauce with ease.